Alvin Plantinga is one of the most prominent figures in a group of philosophers who work on what one could call religious epistemology. Plantinga has decided to take on the “new atheists” in his latest book Where the Conflict Really Lies: Science, Religion, and Naturalism (Oxford, 2011) and while I applaud that project, I’m not optimistic that he is going to succeed in the manner he hopes he will. Really? Our knowledge is like God’s? So God is constantly having to discard flawed theories concerning the nature of physical reality in favor of what appear to be better theories? 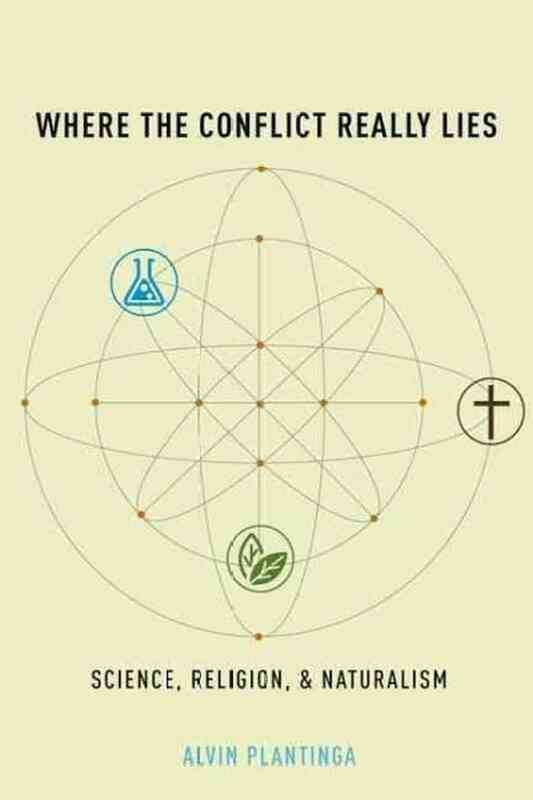 So the discrete bits of God’s “knowledge” are as incompatible as general relativity and quantum mechanics? That’s a disturbing thought. I like to think God is always right, not that he is constantly getting things wrong and having hence to revise and improve his theories. Plantinga contends that knowledge of physical reality is possible only if one assumes that there’s some kind of pre-established harmony between the way our minds work and the way the world is. That’s actually a very reasonable claim. He’s right in that without some assumption of that sort, we’re stuck in the Kantian realm of the way the world is for us, rather than the way it is in itself. Humanity has been deeply uncomfortable with this insight ever since Kant (or more correctly, the Pyrrhonists) first expressed it. The view that knowledge liberates us from the confines of our subjectivity seems an almost ineradicable intuition, a fact about the way the mind works. And yet, it is not merely difficult to defend; many would argue that it’s demonstrably false. It’s not that science is a free for all, or that reality is however and whatever we think it is. To say that we cannot escape the confines of our subjectivity, even when we are at our most “objective” (as is the case, hopefully, when we are doing empirical science), is merely to say that the world is always going to look to us the way it does, not because of the kinds of individuals we are in particular, but because of the kinds of creatures we are in general. Kant, as I indicated above, didn’t actually discover this fundamental truth about what you could call our epistemological predicament. This insight goes at least all the way back to the ancient skeptics. Plantinga is correct in his observation that atheists who claim to base their views in science lack support for their belief in the veridical nature of scientific “knowledge.” He’s incorrect, however, in his claim that believers stand on firmer ground. “Medieval” is the operative word here. Plantinga seems stuck in some medieval world view. He appears to have forgotten that science “progresses.” That is, he appears to have forgotten that we are constantly getting things wrong. The history of science makes it glaringly obvious that the purported fit of which Plantinga speaks between our cognitive powers and the world is far from a good one. The views Plantinga expresses in Where the Conflict Really Lies are not new. He’s been engaging in elaborate machinations for years in an attempt to defend his position concerning the “match between our cognitive powers and the world.” One of the most intractable problems in the history of epistemological theorizing is known as “the Gettier problem.” Edmund Gettier published a little two-page paper entitled “Is Justified True Belief Knowledge” back in 1963 that has been the bane of epistemologists ever since. Basically, what Gettier showed is that it is possible to have a justified belief that is true by accident, or a belief where the justification is not related to the truth in the way we intuitively believe it ought to be. Each of these propositions is entailed by (f) [the belief that Jones owns a Ford]. Imagine that Smith realizes the entailment of each of these propositions he has constructed by (f), and proceeds to accept (g), (h), and (i) on the basis of (f). Smith has correctly inferred (g), (h), and (i) from a proposition for which he has strong evidence. Smith is therefore completely justified in believing each of these three propositions, Smith, of course, has no idea where Brown is. It’s kind of a contrived example, but it makes a good point. A justified belief can be true by accident. When it is, that is, when the justification does not relate to the truth of the belief in the way we think it ought to, we’re inclined to think that the belief in question does not amount to knowledge, even though it satisfies what have long been taken to be conditions necessary and sufficient for knowledge. Everyone has been trying to better Gettier and this has generated some very interesting work in epistemology. No one seems able to do it, however, without abandoning some intuition we feel is basic to knowledge. You can get around the Gettier problem, for example, if you just add a proviso onto your account of justification that requires that it relate to the conditions in the world that are responsible for the belief being true. The only problem with such an account of justification is that we are never in a position to determine whether this is the case. It is possible, on such a view, to have knowledge; you just can’t know when you know something. The problem is that we’re inclined to believe that you can’t know something without also knowing that you know it. [A] true belief is formed in these cases all right, but not as a result of the proper function of all the cognitive modules governed by the relevant parts of the design plan [i.e., God’s plan]. The faculties involved are functioning properly, but there is still no warrant; and the reason has to do with the local cognitive environment in which the belief is formed. Consider the first example, the original Smith owns a Ford or Brown is in Barcelona example. Our design plan leads us to believe what we are told by others; there is what Thomas Reid calls “the Principle of Credulity,” a belief-forming process whereby for the most part, we believe what our fellows tell us … [C]redulity is part of our design plan. But it does not work well when our fellows lie to us or deceive us … as in the case of Smith, who lies about the Ford” (33-34). You can’t avoid the Gettier problem by pointing out that God designed us generally to believe what other people say because no one lies in either of Gettier’s examples. It would appear that Plantinga hasn’t even read Gettier because the example in question is Jones owns a Ford or Brown is in Barcelona, not Smith owns a Ford or Brown is in Barcelona, and it is the second of Gettier’s two examples (or counter examples) not the first. If God had a design plan for the operation of the human intellect, I’m inclined to believe that part of that plan was that we should actually read the works on which we argue we’ve improved. Something went wrong with that plan somewhere! (An earlier version of this post appeared in the Sept. 27-29 Weekend Edition of Counterpunch).